Personal evangelism belongs in some degree to the role of all who would call themselves disciples of Jesus Christ. God has designed it so that those captured by His grace would be called to His service as His instruments for the communication of the gospel. Evangelism belongs to the realm of ordinary life and not only to those extraordinary opportunities afforded by a special visitation night or in being part of an evangelistic program of some sort. Evangelism is best understood not as an event but as a process, where the role of the witness is to encounter someone for Jesus Christ to the advancement of the person’s knowledge, agreement or trust in Christ as the source of spiritual, abundant and eternal life. The gospel is ordinarily communicated in parts and not in totality, or at least developed through a building process. God may use us to sow the seed, weed out error, or nourish through truth. These things are not necessarily all done in a single encounter, nor are they done necessarily just by us. God may raise up others to influence that person for Christ. While the gospel demands a response, a call to response at every encounter is not inherent to faithful evangelism. The presentation of truth in itself demands a response of stance on the part of the hearer. In God’s design, it is better to see ourselves as spiritual midwives responding to and cooperating with the work of the Spirit, rather than as spiritual salesmen cajoling conversion. Faithfulness to the evangelistic enterprise is not measured by conversions but by our attitude, intent and activity in obedience to Christ in bearing witness to Him as Savior and Lord. God produces the fruit. The most natural and ordinary way for Christians to communicate the gospel authentically is through the relationships of their lives that serve as the contexts for that communication. God is sovereign and His providence governs all events and contingencies, both means and ends, for His purposes. For that reason it is assumed that we find ourselves in the life-spheres we do, at the placement of our God and in service of His kingdom. He has established us as beacons of light in the midst of the darkness of sin and unbelief right where we live. It is only the Spirit of God who opens eyes and changes hearts to understand and embrace the gospel. The effectiveness of evangelism is utterly dependent on the sovereign, gracious working of the Holy Spirit in applying Christ’s accomplished work of redemption. By its very character evangelism involves a spiritual dimension in the supernatural working of the Spirit of God for the redemptive kingdom of Christ against the fallen kingdom of darkness ruled by the devil and his demons. This spiritual dimension must be taken into account and dealt with in the wisdom of God’s Word and with the weapons of God’s provision. Prayer is communication with the living God that will promote intimacy with Him. 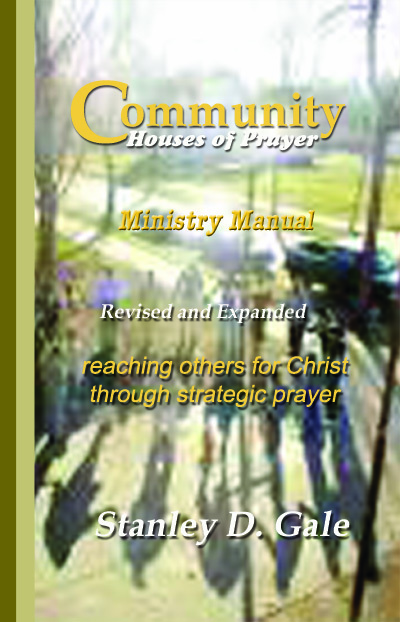 Prayerfulness is the privilege and responsibility of all Christians, useful for all levels of spiritual maturity. Prayer is a weapon of the kingdom of God ordained by Him as a means for His ends against spiritual opposition. Prayer is intended by God to enfold us into the accomplishment of His purposes for His glory. In the majesty and scope of God’s design, in praying we can expect God to do something He would not have done had we not prayed—not to make God dependent on us but to the glory of His unfathomable greatness. Prayer is not merely for therapeutic value in which we unburden ourselves of sins or cares. Rather, prayer is eminently effective for the building and strengthening of the kingdom of God and for the accomplishment of His purposes. God has provided for special benefit and blessing in corporate prayer as opposed to private prayer alone.